Kirkpatrick Sound Engineering is owned and run by Roy. D. Kirkpatrick MinstSCE. 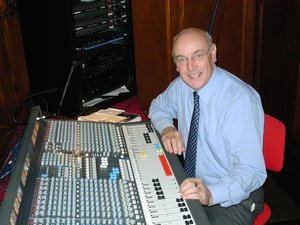 Roy has been designing and installing professional sound systems for more than 40 years. He takes great pride in sourcing the latest technology to give customers the best available sound system for their needs. Don't miss these quality used eqipment bargains! click or tap on this link to see a list of the used sound equipment we have available in stock. Kirkpatrick sound engineering supply and install professional audio equipment and sound systems either from main agents or directly from the manufacturer.We use our experience and expertise to help you source the best equipment to meet your needs. We design your sound system so that it gives the best possible fit to meet your criteria while making the least possible visual impact on your venue while providing warm clear natural sound. We are proud to have installed sound systems, hearing loop systems and audio/visual for churches,local councils police authorities and schools .